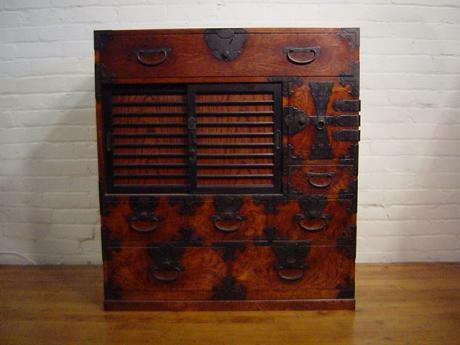 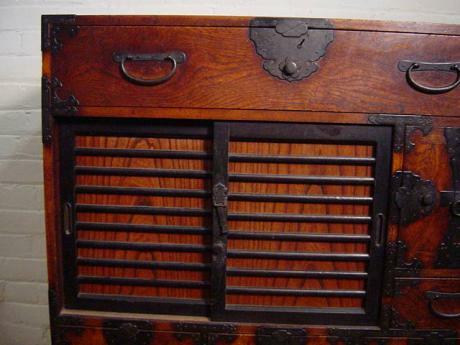 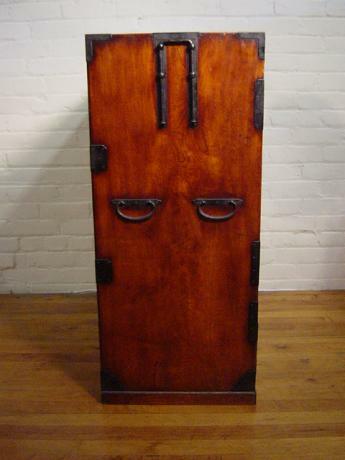 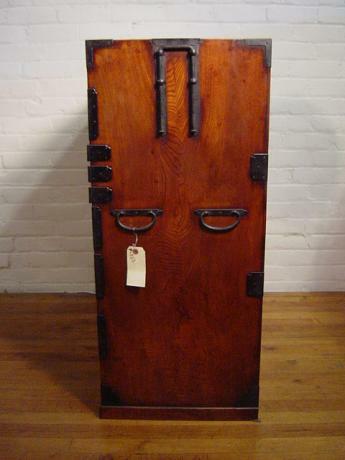 Description: Beautiful Merchant's TANSU made of KEYAKI. 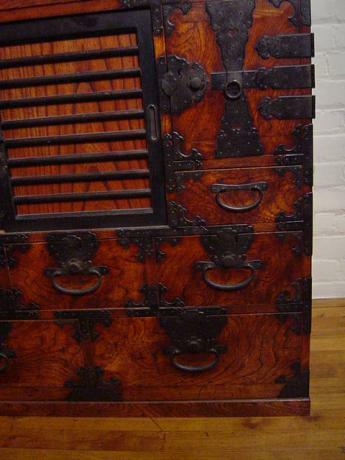 This TANSU has a large drawer on top, a 2-level storage area with doors next to a lockable door, a layer of 3 small drawers and finally a bottom layer with 2 smaller drawers. 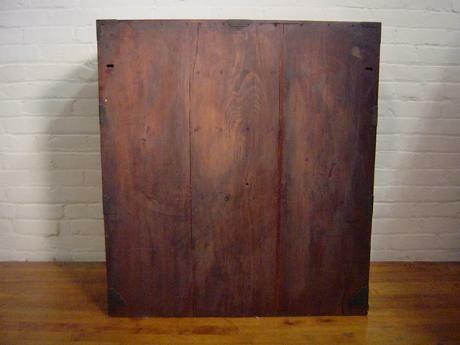 37" height, 33 1/2" width and 16" depth.